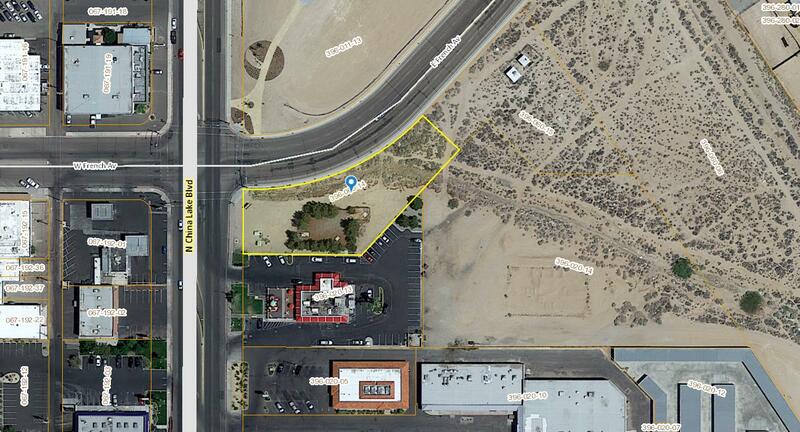 FOR SALE: 0.74 acre parcel located in the City of Ridgecrest (APN 396-060-14). This parcel is the former site of Well 19 just north of McDonalds. Well 19 was destroyed per Kern County standards in February 2016. Please see the following assessor map and aerial photo. Asking price: $65,000.00, although all offers will be brought to the Board for consideration. For more information, please contact Ty Staheli at 760-384-5515 or ty.staheli@iwvwd.com.